This very limited edition geocoin to commemorate the first ManxCacheFest is now available for PRE-ORDER at only £10.00. 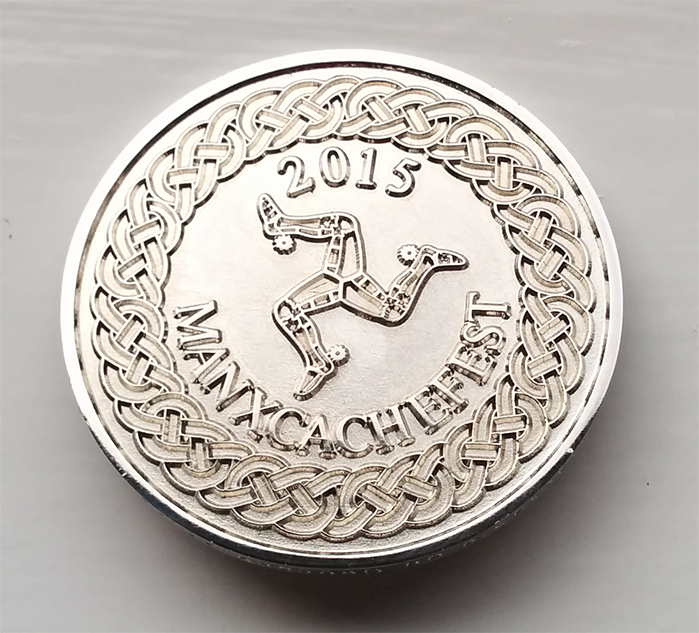 The coin bears the unique ManxCacheFest logo on one side and the reverse side is similar to the other coins in the series. (Heritage Power Trail Geocoin and Millennium Way Geocoin). You can pre-order this geocoin online now or at the Braddan Parish Day on May 4th. Geocaching, Manxcachefest geocaching, iom, manxcachefest. permalink.